Yes, it's hot and humid, but look at your calendar. Right around the corner the first blue-winged teal leave the prairies to begin their fall migration. Right now, they're spending most of their time eating, resting and preparing for this journey. What about you? 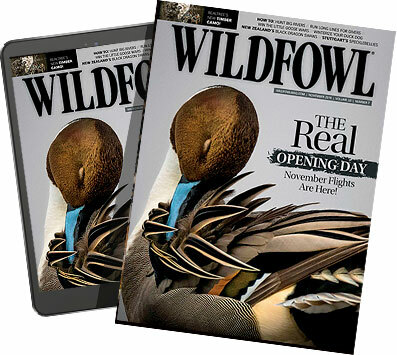 Are you preparing now so that you're actually ready when opening day arrives? Or are you lazing in the shade, knowing full well you'll have to scramble to gather all your gear the night before opening day? 1. Run Your Boat: Are you running an outboard or mud motor? 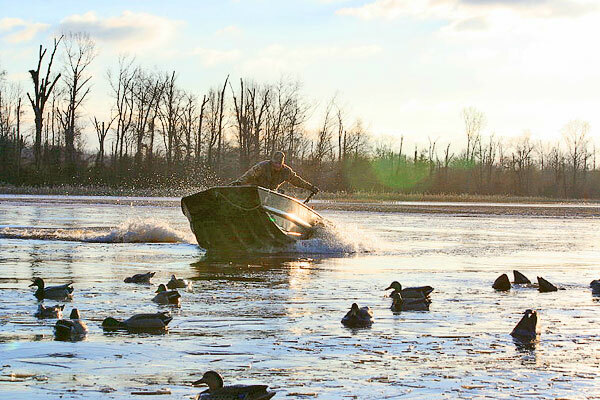 Doesn't matter -- if you depend on your boat to get to the ducks, not being able to start it on opening morning certainly sets a bad tone for the rest of season. The best way to make sure your boat will start is to run it and run it often. That may mean taking it fishing, or just slipping muffs and a hose over the water intake and cranking it in the driveway. 2. Repair Decoys: Ducks and geese decoy better to realistic decoys than they do to chipped-up disasters riding low in the water. But new decoys are expensive, so fix your old ones when you can. Repair holes from shotgun pellets, touch up worn paint jobs and replace missing anchor weights. 3. Shoot Some Clays: Remember that banded sprig that you missed at 20 yards in front of your buddies and all the anguish it caused? Visualize that duck while dusting a hundred or so clay targets this summer. Pay for a few rounds at the local sporting clays range and practice those especially tough shots -- or buy a $10 hand-thrower and take turns tossing and shooting clays with a buddy. 4. Work your Dog: Routine training drills and plain-old exercise are good for even a seasoned retriever, but summer heat should always be at the forefront of your mind when working your dog this time of year. It's very easy for your dog to become overheated, so focus on the cool early-morning hours, practice a lot of water retrieves and keep the work sessions short. 5. Knock on Some Doors: Remember that pasture pond full of geese during last September's nuisance season? Now is the time to knock on that farmer's door and ask permission to hunt. Stop by and introduce yourself in person, rather than over the phone, and try to ask during the evening hours so you don't interrupt the farmer's daily routine. You're more likely to get permission by asking ahead of time than the day before, when other hunters have likely beat you to the punch. 6. Do Some Scouting: You're not looking for birds this time of year, but it's handy to have a list of spots in mind for various conditions you're likely to encounter during duck season. Know of a green-timber flat that routinely floods? Find the oak trees laden with acorns now, while the ground is still dry. You can spot the small acorns with binoculars. A flooded field planted with soybeans or cotton won't mean much during a January cold snap, but a cornfield is a different story. 7. Brush Your Blinds: This is really an early-fall chore, but the best time to brush your blind is while it's still warm and leaves are still hanging on the trees. It's important to remember that some types of tree limbs hold their dead leaves longer than others. Most veteran duck hunters like to use oak brush. 8. Buy New Stuff: Whether it's a new choke tube, case of shotgun shells, new goose call, new decoys or new camouflage, now is the time to buy gear. There's typically plenty of stuff on store shelves right now, and you have several weeks to break in the reeds of a call, pattern your shotgun or rig decoys. 10. Work Out a Lease: It can be easy to assume the details of a lease won't change from year to year, but that's not always the case. Your buddy might fall on hard times, or the farmer's property taxes may increase. Check with the farmer and all the other lease members to avoid unpleasant surprises the week before season.